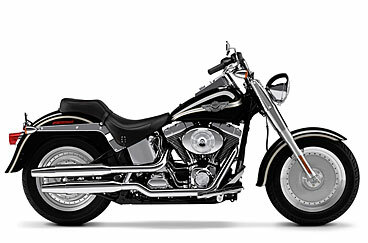 Like all Softail models, the Fat Boy is powered by a counter-balanced Twin Cam 88B engine. It cranks out a stupendous amount of torque and comes with a sophisticated EFI system. What you don't see is a hidden rear suspension that bestows a classic look and an exhilarating ride. 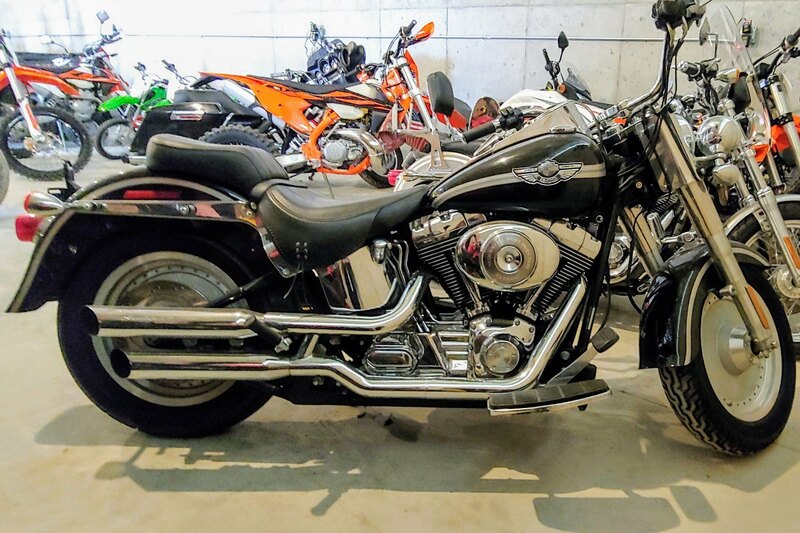 The styling comes from a courteous amount of iron and chrome. Notice the beefy FL fork and jumbo 7" headlight ,solid disc wheels, fat rubber, giant fenders and floorboards large enough for Bigfoot. Throw on a second seat and foot pegs for your riding buddy and you have one hell of a machine! Come check out the Fat Boy and all its glory here at Full Throttle Motorsports!